We recently completed a Landscape and Visual Appraisal to inform the development of a series of replacement buildings and new developments in a sensitive site that lies directly adjacent to the Grade I Registered Stoke Poges Garden of Remembrance and the Grade II Registered Stoke Park. 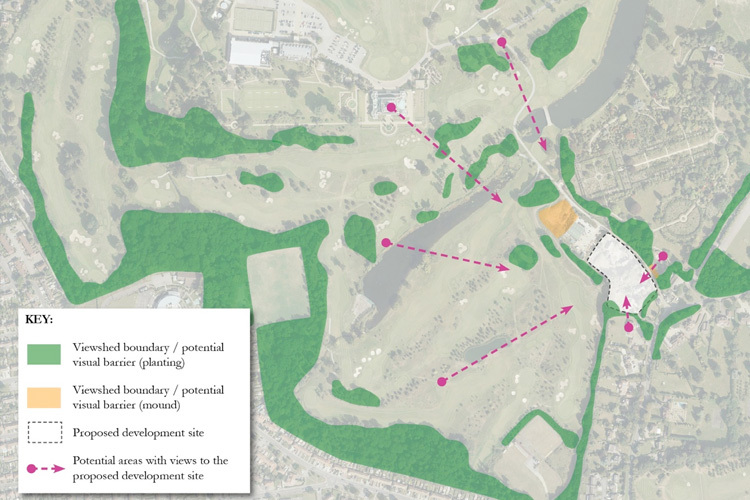 The LVA led to a series of recommendations relating to the siting, massing and external appearance of the proposed development, resulting in an exemplar landscape-led scheme that fully responded to the special qualities and historic character of the surrounding parkland setting. We were subsequently appointed to prepare a site masterplan for the development.